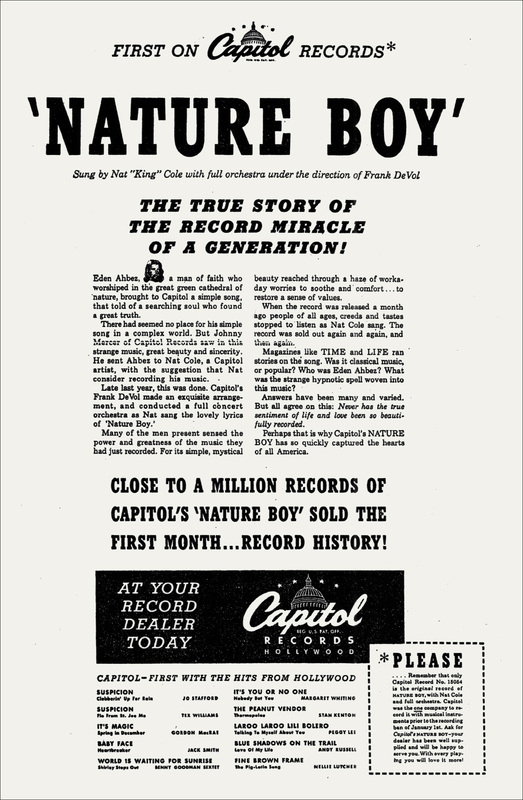 Capitol Records advert for Nature Boy by Eden Ahbez. From 1951 until 1962 over one hundred Atomic weapons were detonated above ground at the US Military’s test site in the Nevada desert just outside Las Vegas. 148The mushroom clouds from the bombs could be seen at a distance of almost one hundred miles away and “bomb-watching” became something of a tourist attraction in Vegas itself. 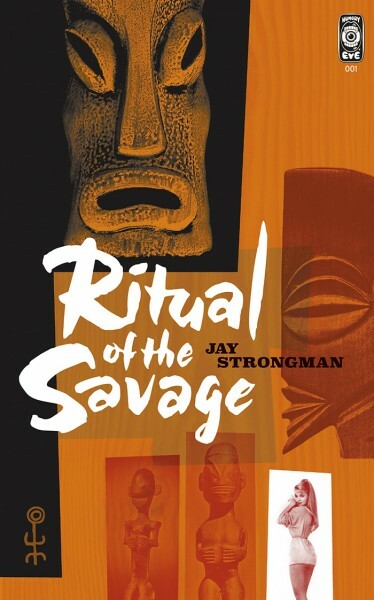 The radio-active fall-out from the tests drifted away from the city and were borne by the prevailing winds over southern Utah, where, tragically, increases in many types of cancer were reported from the mid-1950s through the 1980s.